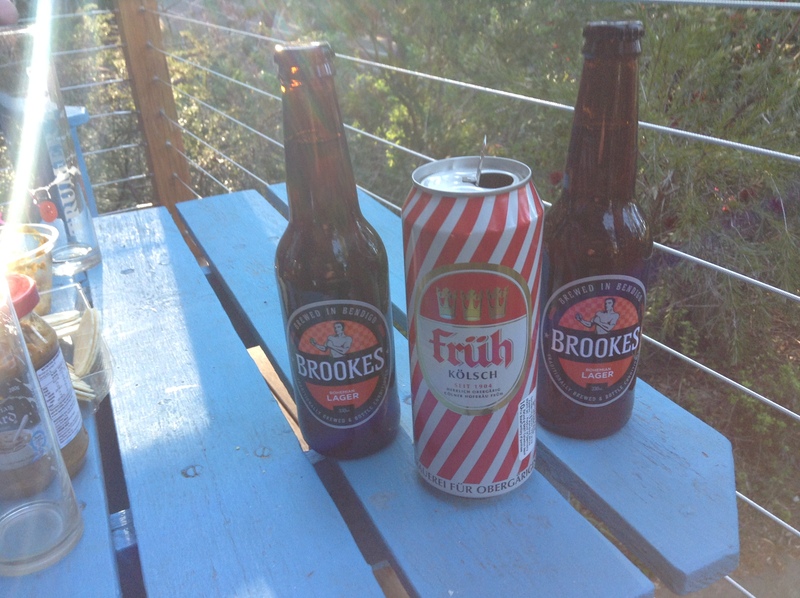 Carrington Bottle Shop, Katoomba, had Fruh Kolsch in tins so we gave it a try. Quite a nice beer for sitting on the balcony on a cool spring evening. Brought back memories of drinking this beer on small 200ml glasses in the Fruh brewhouse in Cologne a couple of years ago, actually I just had a glance back in the archives and it was May 2010 or more than five years ago. Anyway that trip to Germany introduced me to my favourite way of beer presentation, straight out of a keg sitting on the bar served at cellar temperature, Then in the absence of any more of the Fruh we had a Brookes Lager, a dark muddy looking beer, a little malty and one of the best Australian lagers to my mind. 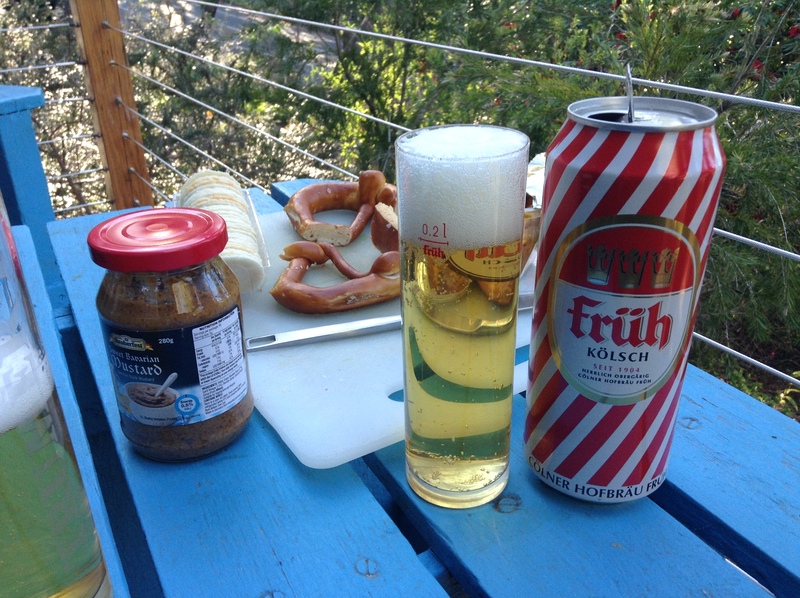 This entry was posted in Uncategorized and tagged CARRINGTON BOTTLE SHOP, COLOGNE, FRUH, kolsch. Bookmark the permalink.